Every week the Northwest’s top athletes have come to train, and every week it gets more and more exciting. When looking at the lineman you see a variety D1/D1aa kids that represent the top overall athletes at that position. Don’t take it fom me , watch the film. All of the accolades speak for themselves, but more than half of these kids are ranging from 6-5 to 6-6 and are still underclassmen. We had an outstanding workout on Sunday, in a very physical environment where kids went super hard. All of these (invite only) elite workouts are prep time for our NEI/Barton Football Combine tour starting in less then 2 months. We will be bringing you Video on a weekly basis from our elite events in Oregon and Washington along with Idaho & Montana coming soon. We will be doing a 4 part segment this week starting with the lineman and moving on to the RB’s and LB’s tomorrow. Once again we are very excited to be hosting these elite events, and appreciate the immense support that has been given to NEI and Barton Football. The numbers have been incredible, and we will continue to work on developing all kids while helping them get to the next level. Andrew Kirkland 6-5 295 Jr. OL Jesuit- Named a First Team Army All American at the Combine, and one of the top lineman in the entire western region. Could potentially be the best O lineman in the state and is currently ranked as one of Oregon’s Top 10 overall athletes and moving up quickly. We have spoken to multiple high level D1 schools that are very interested. Was the best player in the entire gym on Sunday, and will have many Pac 12 offers and beyond before he is done. Special Special kid. Caleb Wells 6-6 245 Jr. DE Benson- Where did this kid come from? We added him to our rankings board about two months ago, but didn’t know the extent of his talent. The kid is for real and put on a show against some of the top lineman in the Pacific Northwest. Comes off the end hard and went toe to toe with the very talented Kirkland. Should be one of the best players Benson HS has had in a very long time. Matt Sommer 6-5 290 Jr. DL West Salem- One of the top 15 players in Oregon. All league 2 years running, with legit D1 size. Will be considered one of the three top defensive lineman in the state and should have a couple Pac 12 offers before all said and done. Looks like a bouncer but is actually just a silent tough guy. One of the best kids you will ever meet. Justin Outslay 6-5 270 Jr. OL/DL Salem Academy- Probably the best O lineman in the state at the 3a level. Fundamentally looked very skilled for a big man and is all of 6-5. Athletic enough to do well on the D line but projects offensively. Considered one of the Top 80 players in Oregon and had a very good Sunday workout. Needs to be working against the best every week, and has received Pac 12 interest. Carl Kreitzburg 6-3 265 Sr. C West Salem- Yale Commit that has been a first team all league in the Valley for the last two seasons. Will most likely move to Center at the college level as he has the prototypical size for that position. There’s not a coach that wouldn’t want Kreitzburg on their roster. Ryan Brown 6-6 265 Jr. OL Jesuit- Has just looked more and more athletic every week and its early. Brown was injured part of last season but is now healthy and has a ridiculous upside. Army All American nominee that will be a part of one of the top lines in the country. He could be a very athletic 6- 6 1/2 300′ O lineman as his body develops. Alex Sirois 6-5 290 Jr. OL Century- Will anchor a very talented Century group that is returning. Has legit size to play big time ball, will need to add upper body strength but has outstanding frame. Injured part of last season earning Hon Mention all league honors. 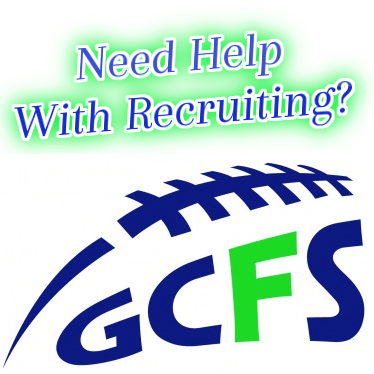 Has the ability to play a high level of football with continued hard work. Marqueese Royster 6-2 260 So. DL Lakeridge- Just returned from the Team USA event where he was 1 of 100 invitees from around the country. Had his best Sunday yet, as he will continue to grow as his speed and strength put him at an advantage against most. Outstanding kid, one of the top lineman in the state for the 2014 class. Big addition for the Pacers. Malcolm Lewis 6-0 260 Jr. DL Westview- Talented athlete that has jumped up our rankings board quickly as he is just too strong and athletic for a lot of O lineman to leverage. He should be considered one of the top D lineman in the Metro League and a potential D1aa/D2 kid. Tyler Cox 6-3 235 So. Southridge- Has one of the biggest upsides of any young lineman in the state. He will continue to grow and fill into his body and should project as one of the top lineman in the Metro League this year. Tyler will be a 6-5 285 pound lineman his senior year and one of the best in the Northwest. Look for him to blow up the conference in 2012. Jaelan Webb 6-0 255 Jr. Jefferson- One of my new favorite players. Didn’t know what to expect but the kid was very good. Started on both sides of the ball lasts season. Has outstanding strength and quicks and should be one of the PIL’s best.